Tungsten bullets display clearly less flow resistance and thus increase the sensitivity. 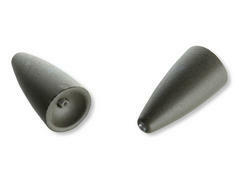 Because of the smaller surface the casting distance is also raised in contrast to lead sinkers. 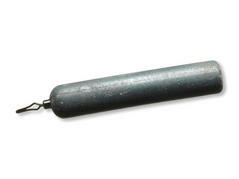 Thanks to the compact shape fish hardly sense resistance while taking line and the thread of losses is greatly reduced. Classical drop shot lead with cylindrical shape. This shape enables long casting distances and offers optimal protection against tanglings. The distance to the lure can be adjusted quickly and easily via the snap. The Prorex drop shot lead is also available as lead free version.